Guitar Sonata No. 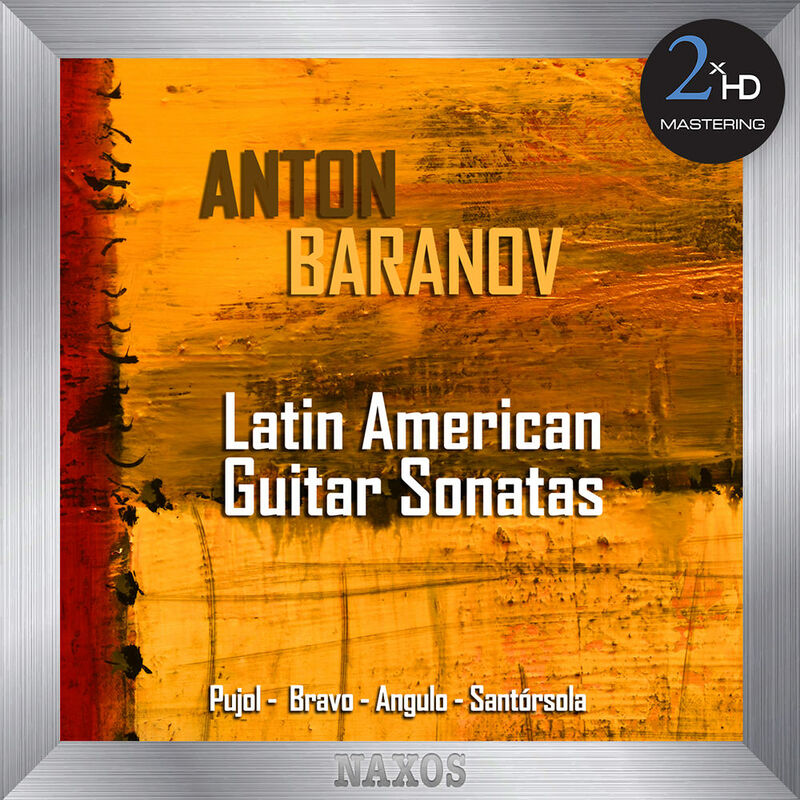 4, "Italiana"
Anton Baranov, the 2013 winner of the Guitar Foundation of America (GFA) Competition and one of the foremost guitarists of his generation, devotes this programme to four composers of different generations and diverse backgrounds from Central and South America who combine traditional elements of the guitarist's art in the Latin American world with a delight for experimentation. The result is a entertaining and imaginative kaleidoscope of colour and rhythm. In order to achieve the most accurate reproduction of the original recording we tailor our process specifically for each project, using a selection from our pool of state-of-the-art audiophile components and connectors.The process begins with a transfer to analog from the original 24bits/96kHz resolution master, using cutting edge D/A converters. The analog signal is then sent through a hi-end tube pre-amplifier before being recorded directly in DXD using the dCS905 A/D and the dCS Vivaldi Clock. All connections used in the process are made of OCC silver cable.